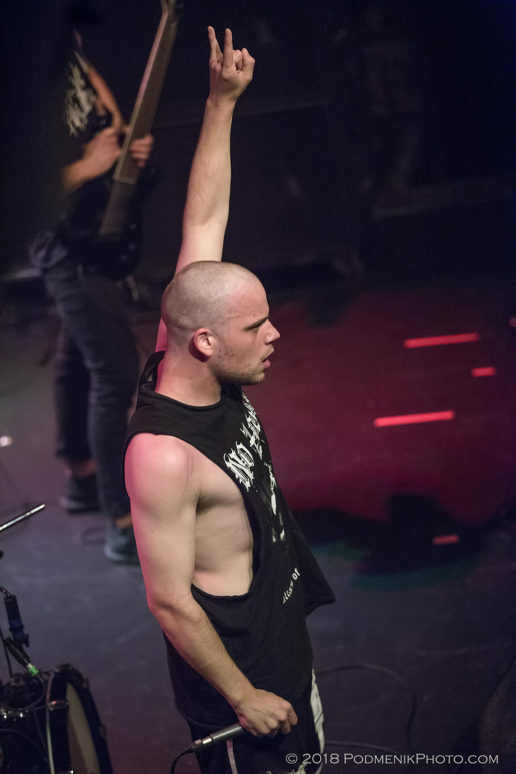 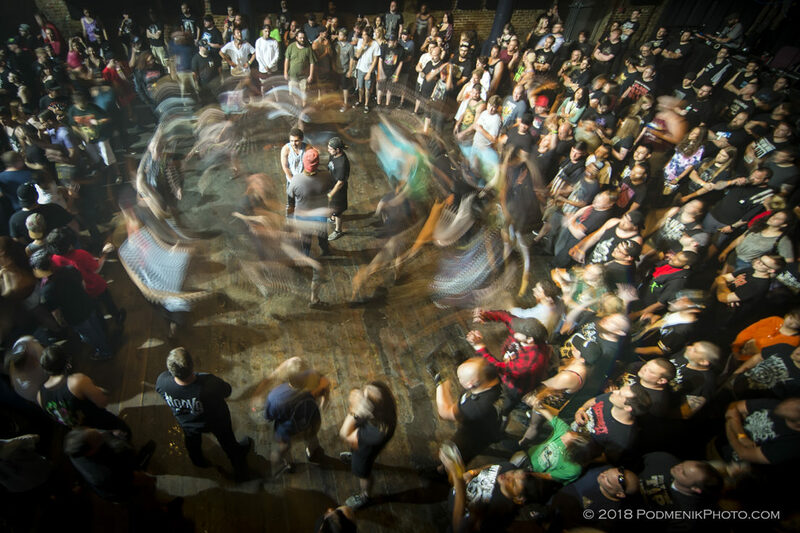 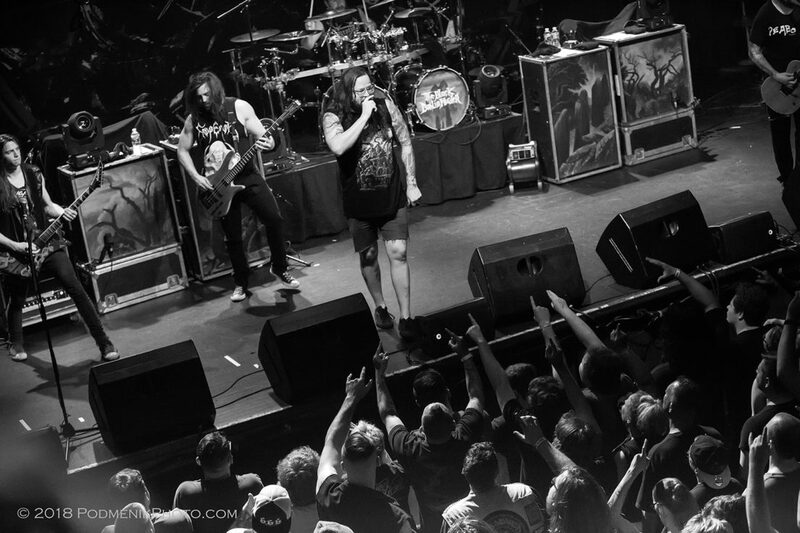 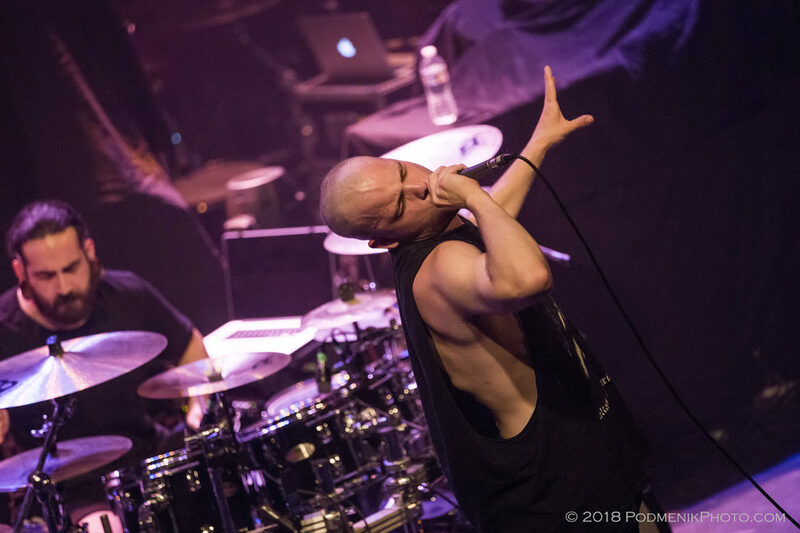 NORFOLK, VA- The front doors were literally shaking at the NorVa on Tuesday … and metal layered upon metal continued to shake the very structure of the building as a 5 band lineup plowed through the evening, leaving the audience sweaty and exhausted and exhilarated by midnight. 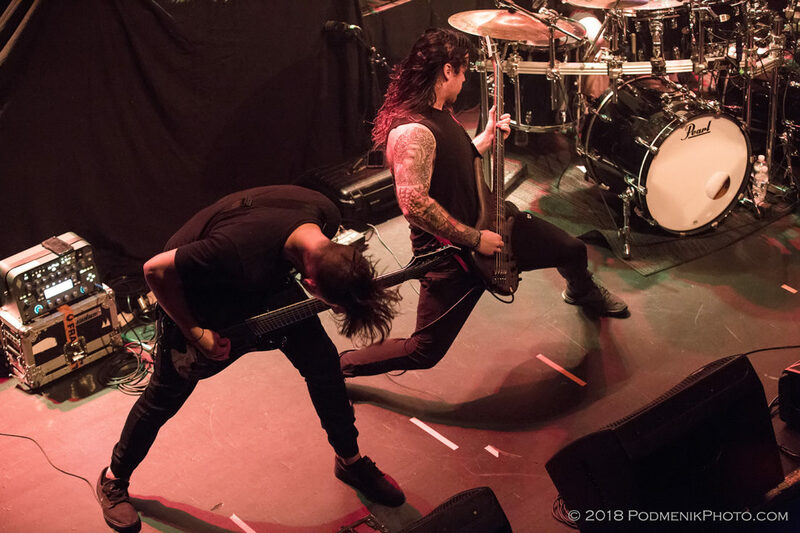 Shadow of Intent opened and paved the way for Aversions Crown, an Australian based band that had the crowd revved up at full speed early in the evening with a pit full of moshers, with body slamming, swinging and kicking. 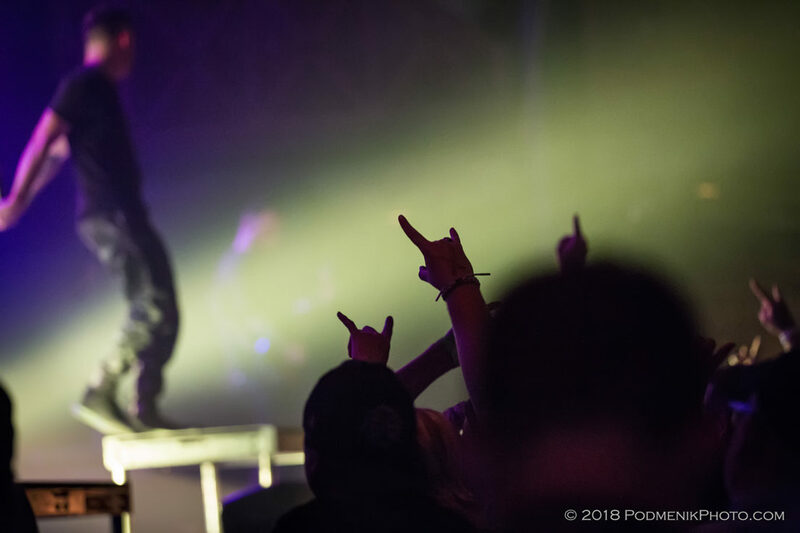 Aversions Crown called out for formation of a Wall of Death, and after the intensity of that, the energy never died down. 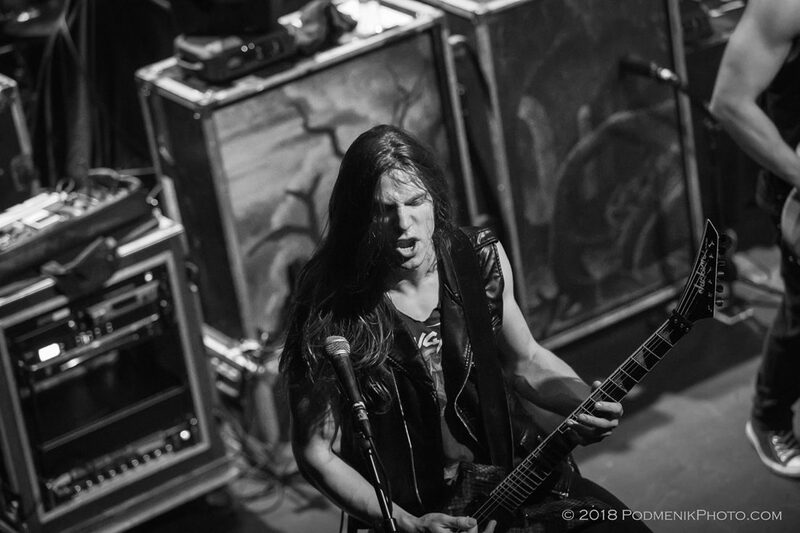 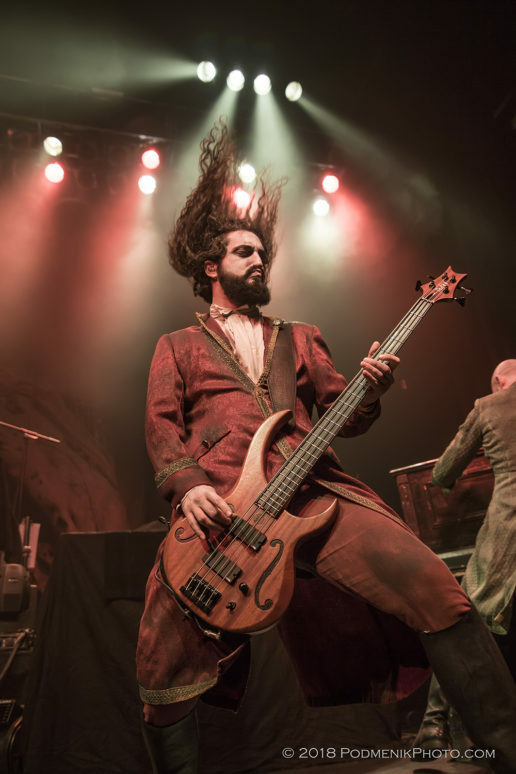 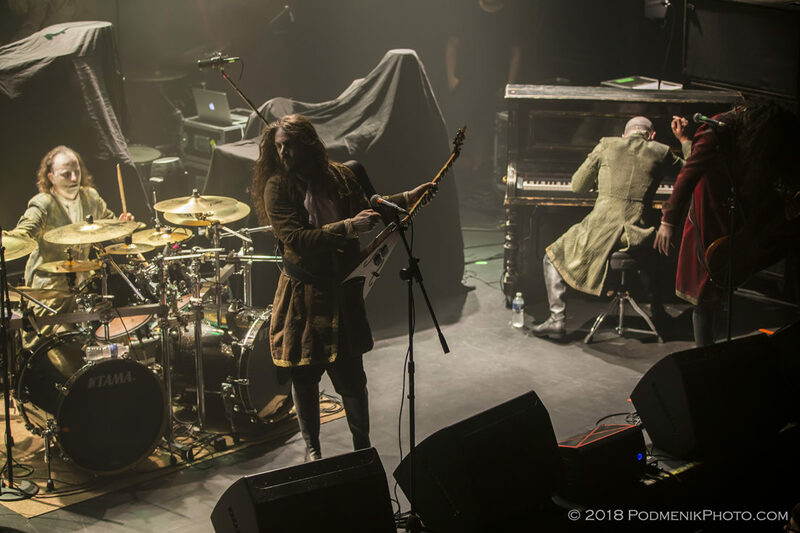 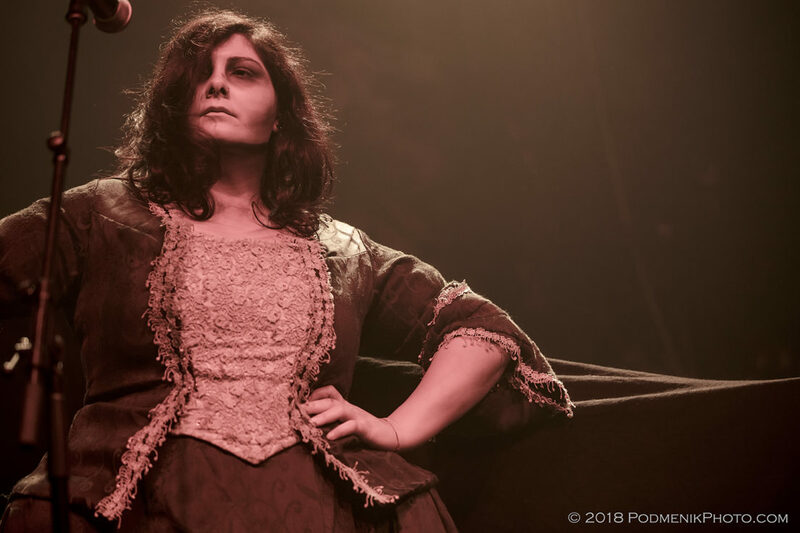 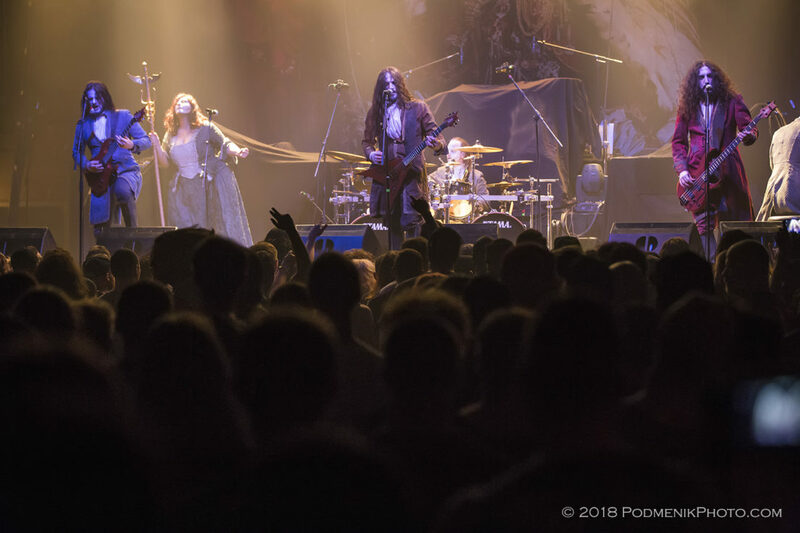 Our journey around the globe touring the tastes of metal continued with Italy’s Fleshgod Apocalypse, attired in ghoulish makeup with medieval jackets and boots as they haunted the venue with their classical Death Metal, backed by the operatic vocals of Veronica Bordacchini. 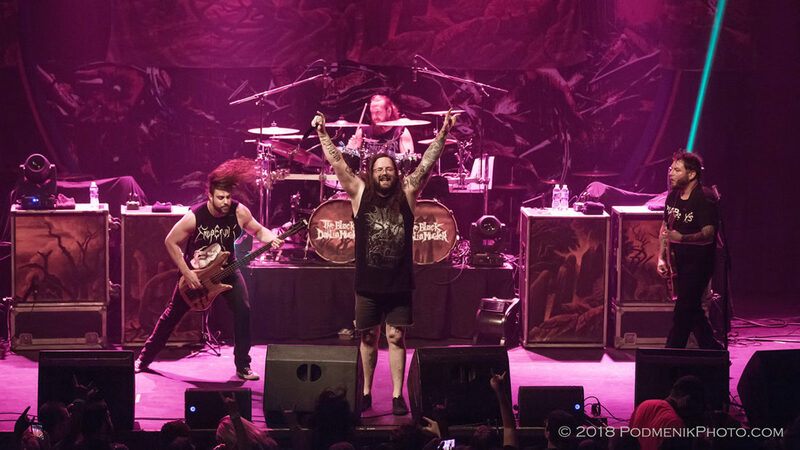 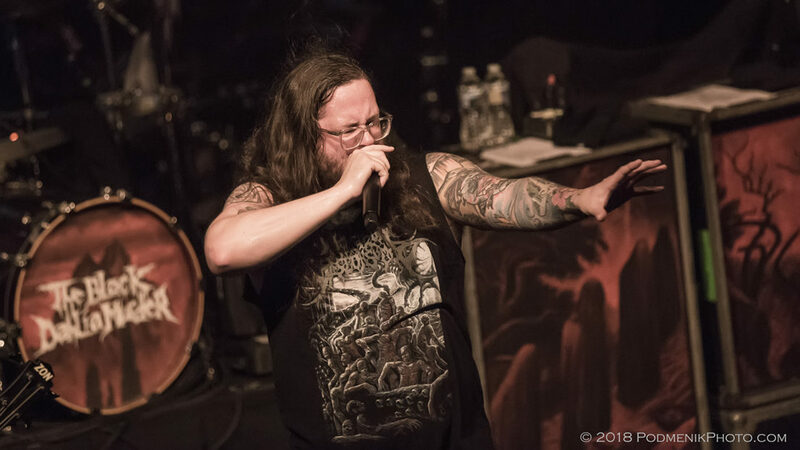 A band whose interests are listed on Facebook as “Satan and snacks” co-headlines this tour- The Black Dahlia Murder, featuring a moniker derived from the real life murder of Elizabeth Short. 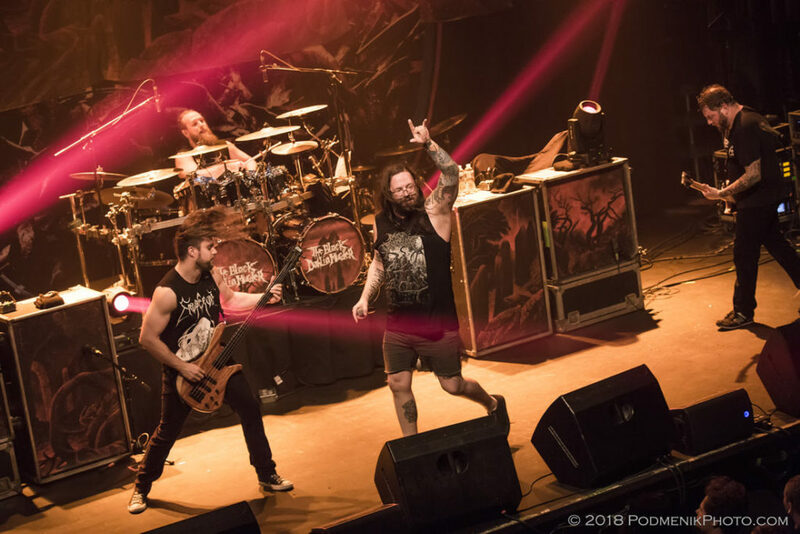 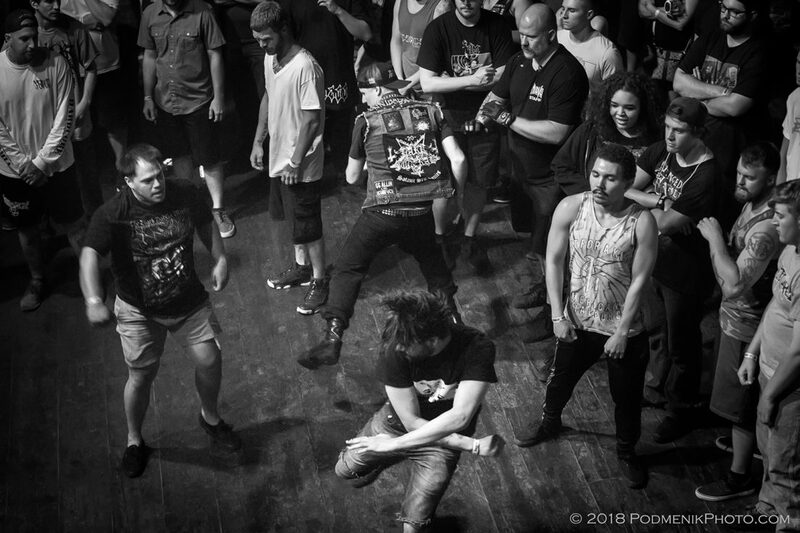 Recent release “Nightbringers” is the highlight of their set, and by the end and during the change out of gear for Whitechapel, many of those who had been in the pit were now sitting on the floor and recouping some energy, rallying for the climax of the evening. 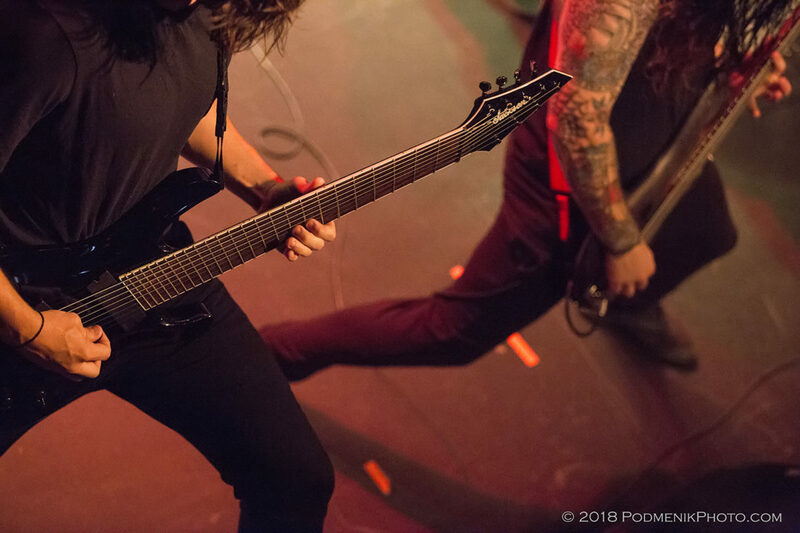 Deathcore enthusiasts Whitechapel turned down the lights and turned up the intensity as they played every track from their second album “This is Exile”. 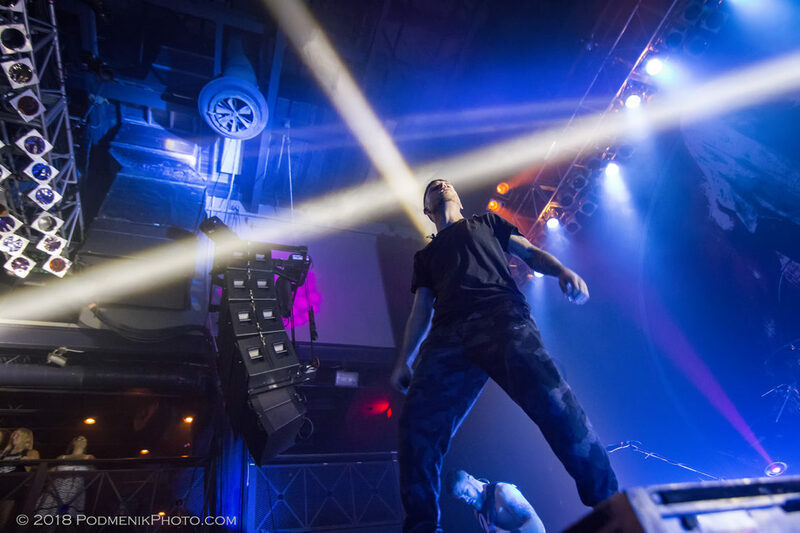 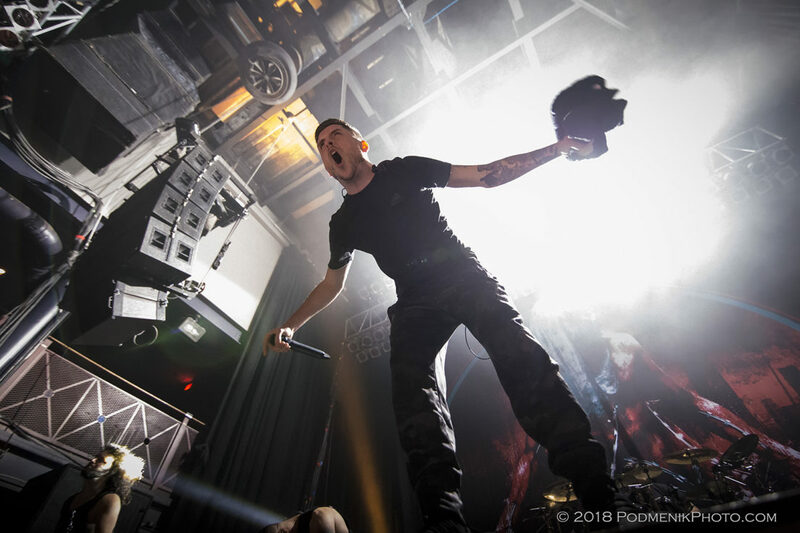 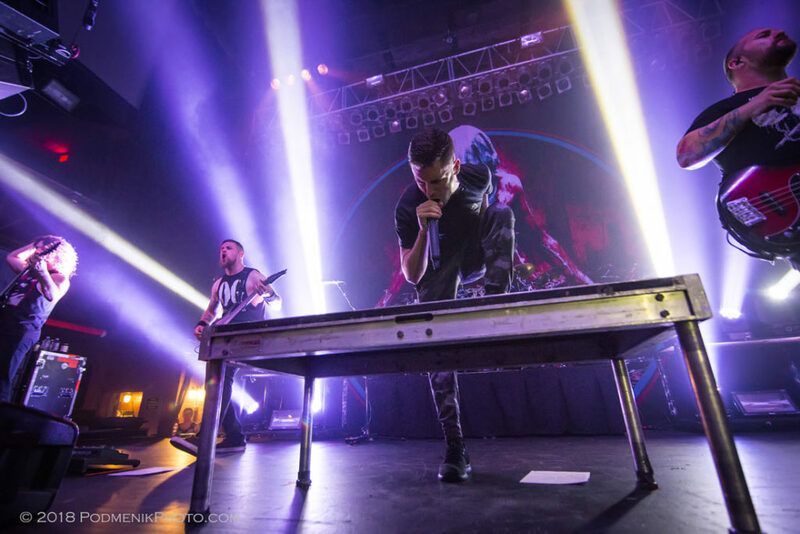 A band that prides themselves on their ongoing evolution and growth in sound and lyric, Whitechapel has toured with Black Dahlia many times over the years.